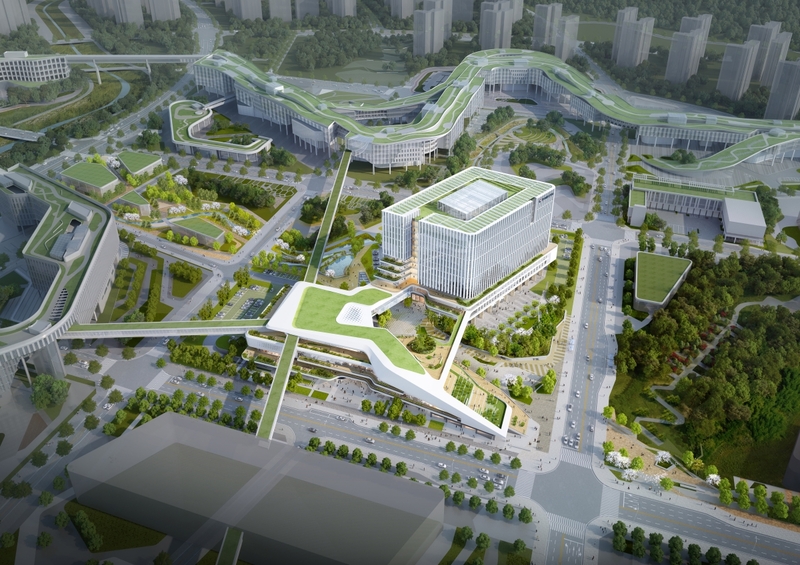 The head of the jury quit in protest following the screening results of the recent Design Competition for New Government Complex Sejong (hereinafter New Government Complex Sejong competition), while the ordering party has clung to its position that there is nothing wrong with the process as it was carried out by legal means. The architectural world has expressed various opinions on this matter. In fact, I remember that this situation has repeated itself every time a central government complex project has been built. Although the design contract of the Government Complex-Seoul was signed by Ra Sangjin, the actual design was carried out by a US architectural firm, and the competition for Gwacheon Government Complex was conducted without proper notice during the Fifth Republic of Korea. 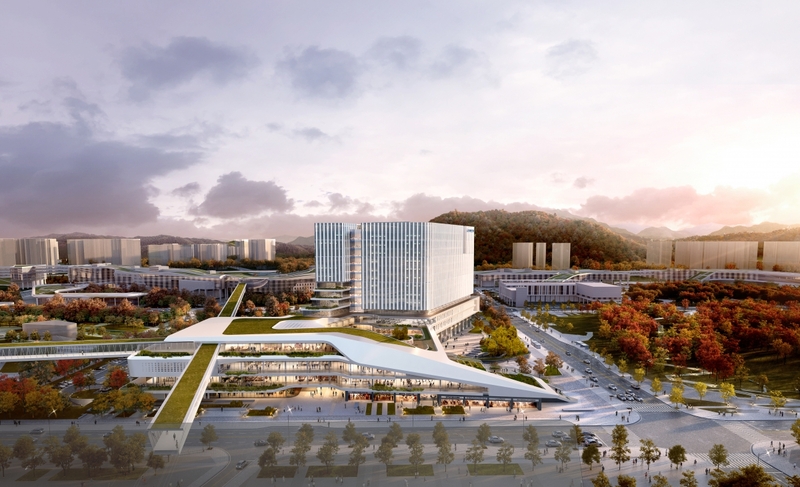 The architectural world was caught up in controversy over the architectural value of the winning proposal for the Daejeon Government Complex, and, now the New Government Complex Sejong competition has presented another major problem. I can not but ask a question when I examine the process and results of central government office projects: how can those issues be addressed by the logic of ‘legal process’ or as ‘legally flawless’ when they have emerged and persisted throughout in every government office project? Therefore, provided that the appointment of judges from the client party is not mandatory, it is reasonable to ask the screening committee and its head about their opinions on this appointment. The changed clause now allows the committee or its head to accept or reject it. Unfortunately, the ordering party of the New Government Complex Sejong competition seems to have understood the item that allots 30% of the judges to the ordering party as mandatory. I think the ordering party should have made decisions after discussion and consultation with the experts from private sector. So I have to raise a question about the current debate of ‘legal process’ and ‘legal flaws’. On the other side, the news in the media has mainly dealt with the discussions of architectural professionals on the New Government Complex Sejong competition. However, their stance takes the logic of blaming both sides, claiming ‘Both of you are wrong, and only I am right’. Stretching the meaning of the issue of the New Government Complex Sejong competition, some tend to generalise the problem, arguing that there is no problem with the process and with some suggesting we have to prepare a mature system of procedures. All of them seem to cloud the issue, stepping back from the actual situation. This seems an age-old way of addressing architectural issues facing the architectural world . Without dealing with the key issues at the heart of the problem, they have put responsibility on the system, suggested a new solution driven by the question, ‘Why is it done this way?’, and producing results that only consolidate their position. I think that this kind of blaming-both-sides commentary is closely related to our present reality, producing a third way that is complex and difficult without figuring out the essence of the architectural issues such as safety, accidents, and so on. In this respect, it is necessary to grasp the point behind the New Government Complex Sejong competition issue. The client should not hide behind a logic that claims their innocence, simply shifting responsibility to the system. This is because we will continue creating various public buildings, which will become more and more closely related to the right of citizens. It will be a problem if the head of the ordering organisation keeps making mistakes by handling the future value of citizens according to their own knowledge and experience. The practitioners of the ordering party should make efforts to improve the capacity of citizens and to inspire the ability of civilian experts, which will make them our future assets, rather than taking away from the leadership of architecture or treating architecture as a ‘trophy’ to the taste of their superiors. This is also a matter of pride about the position and professionalism of their working scope for students who are studying architecture. According to the international standard of the five-year curriculum, professional architects who passed the architects qualifying examination, which is notorious for its low acceptance rate, and the candidates who are preparing for it, must be kept in mind. When does the process of design competition start? The architectural world in Korea was embroiled in controversy throughout November 2018. Although some hoped this would reverberate not only across the architectural community but also wider society, things have remained calm compared to the turmoil witnessed among architects. Nevertheless, the act of courage of one senior architect, who quit as head of the jury in protest at the results of the screening phase may herald the beginning of a new chapter. To begin, I would like to talk about how to improve the general system rather than analyse the proposals submitted by the competition winner or the second runner-up. What took place during the judging process of the Design Competition for New Government Complex Sejong competition revealed the reality at the heart of Korea’s architectural world. Few Korean architects would think that the screening system in an architectural design competition in Korea is fair, and it is probable that practicing architects across the international field feel the same way. I don’t think there is any judge who will accept a bribe to influence the result of a screening, but I’m not sure how many screenings can really ensure ‘anonymity’, which is at the core of fair judgment. While Korean society upholds close connections within, the society of Korean architecture is even more intimate. Within the ecosystem of Korean architecture, it would be strange if architect A who won a competition has no personal stake with judge B. However, it would also be ludicrous to suggest that the examination is unfair because of those relationships. How can we keep the process straight in an ecosystem of this kind? In the end, I think the first step within an impartial review is to create and disclose a process that can be accepted by more people, rather than to rely on the subjective and sometimes ambiguous decisions of judges. Many recommendations about changes to competition procedure can be made, but I would like to analyse the point at which the process begins. The participants in a competition may think that it starts when the announcement is posted, but the schematic design can be regarded as the first step in the contest. In plain terms, it is a process of deriving content from the announcement. However, whether this reflects the opinions of clients or users at the schematic design stage is unknown. In many cases, the reality is that users’ opinions are not easily reflected at this stage in terms of the qualitative aspect, that is, the building performance that reflects user’s requirements, rather than the quantitative aspect such as regulations and the building area. And in my opinion, I think that the New Government Complex Sejong competition is a case that has forced this problem into the glare of wider publicity that may have previously been regarded as trivial or intentionally ignored. Just before the competition was announced, I met a government official who works for the Ministry of Land, Infrastructure and Transport (MOLIT) and heard his complaints about the Government Complex Sejong. His objections were mostly regarding architecture, as well as the acknowledged inefficient circulation and inhuman urban spaces created by designs based on architectural scales instead of urban scales. Seen from the viewpoint of inside users, a lot of spatial layouts were planned without proper understanding of the civil service and they cannot now be changed because of an inflexible plan or design. He assumed that the horizontally-designed Government Complex Sejong may be more demanding in terms of the duct construction, and as a result, the resident officials should stand the heat in summer and endure the cold in winter. In fact, I don’t think that actions made to solve such inconveniences are important virtues in architecture. However, this time, the MLIT official seemed to complain about years of discontent. Of course, this opinion may not represent that of all public officials, including the Ministry of Public Administration and Security (MPAS). There must be many good points, but the story was taken from a real user who occupies the building for more than 40 hours a week. This 'happening' occurred as MPAS officials supported a specific competition entry. I will tentatively presume that the phenomenon resulted after those complaints. If so, there is a chance of preventing this situation from happening again. The new government office is not only a public building, but also a workplace for thousands of people. Listening to the user's opinion is the basis and beginning of architectural design. We can’t say that the user’s opinion is not important for public buildings. This is especially true of those with a high percentage of office space. It was important to listen carefully to what the staff in the Government Complex Sejong demanded from the design at the planning stage. Therefore, we must carry out public discussion on what they need and what they are dissatisfied with, and what the new office should reflect and how. This process requires plenty of time and money. Users and clients have the right to request as much as possible prior to the announcement of a competition, and this process also requires effort and financing. This is a task to be undertaken at the schematic design stage, one that is usually overlooked, and in addition, the client should actively participate at the planning stage rather than the review stage. This part of the design competition should be clearly established before the announcement is made. Provided that user's opinions are sufficiently gathered at the schematic design stage, the screening stage can be better arranged. It may begin with checking whether the project launched in the form of competition fully reflecting the user’s opinions. Just about 10-20 checklists will be helpful. It would be useful to point out what users note at the schematic design stage: whether it is appropriate as the desired office layout they wanted; whether proposal for ventilation was made; whether the lounges are properly distributed. Personally, I think that the building performance review reflecting user requirements is more important than a technical review. This is because the technical review can be modified until the time of permission as it is part of the permission, but the building performance review doesn’t create many chances if it is not done during the screening process of the competition. After undergoing this process, the experts can propose a second screening. There is no reason to decide whether to drop out or not at this stage. This can be regarded as a process of presenting objective judgment criteria to the experts. The second round should be judged by experts. There are obviously many issues that only experts can assess, many of which go unobserved by users. Expert opinions should be actively applied to areas that users rarely recognize, such as publicity, urban contexts, environmental issues, and spatial layouts. Officials should not exceed their authority at this stage, in the name of the ordering party. Preparing a step-by-step process is required for architects or judges to be able to fully reflect on the user's position, and for civil servants to establish a system that respects the opinions of experts. Korean architects, who have continuously participated in the design competitions, are well aware of the fact that the guidelines behind all competitions have similar content. They are different only in terms of their area, location, and regulations. Even the participants are obliged to review the related regulations. The remainder share a similar format in almost all competitions. Even competitions for local cultural or athletic facilities have never received opinions from the local people. Such practices have caused only subjective speculation. A yoga class may be required in one area, while an indoor basketball court is more appropriate for another. A better understanding of the nature of need rests with attention to diversity and locality. Without taking the stage that reflects it into account, judging only 'architecture', we will end up accepting that the architectural world only judges architecture according to its skin. We say that people are important, but we have omitted the process of reflecting humanity. The stories regarding design competitions in Korea have proven popular. At the core of this story there has been always a sense of 'fairness'. This is not that different from an bias and judgements levelled when when the Korean team is defeated in a football match. The important thing is how to supplement this in terms of a system. Football is complemented through the technology of a video review, as subjective judgments may cause double standards. After all, what is important in the architectural review depends on how to make it understood in an objective way, by opening out and being transparent about the judges' professional opinions and decisions. Therefore, the checklist for building performance that reflects user requirements, which can be created at the schematic design stage, will help us to understand the winning entry more objectively. This process should be adopted without making any adjustments. The process should be documented in shorthand and it should be opened after a certain period. Transparency can be secured only when the whole process of discussion is disclosed, such as the opinions of individual judges rather than the more general review. To add such objectivity and transparency to the review process wouldn’t prevent experts from stating their opinions. A judge’s professionalism is just one of many values that we should respect in order to create the best possible public architecture. Park Insoo studied at Soongsil University and the AA school. He worked at Beoma General Construction and iArc Architects. He founded PARKiz architects Inc. in 2010. Currently, he is a vice president of Korea Architects Institute and a director of Korea Universal Design Association. Yim Dongwoo graduated from Seoul National University and earned a master’s degree in Urban Design Architecture from Harvard University. He is principal of PRAUD and the professor in the Graduate School of Architecture and Urban Design. Yim Dongwoo was awarded the Architectural League Prize 2013, and was a participant architect of the Golden Lion winning Korean Pavilion at the 2014 Venice Biennale. At the Seoul Biennale of Architecture and Urbanism 2017, he was director of ‘Pyongyang Salim’, and now participates as a curator in the Seoul Biennale of Architecture and Urbanism 2019.